Yes, there used to be a Beaux Arts public swimming pool in Mississippi. Thomas Rosell’s comment on the Swimming Pools for Some post asking about an abandoned swimming pool in Aberdeen is the impetus behind this post about historic Acker Park on N. Meridian Street and its spectacular but now filled-in and mostly demolished swimming pool that sat atop a prominent hill overlooking the Tombigbee River lowlands. 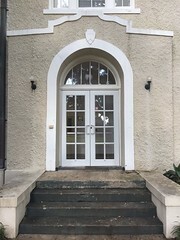 Acker Park is not on the National Register of Historic Places, but thankfully the C. C. Day House at 517 S. Meridian Street is on the Register as one of Mississippi’s “most academically correct expressions of the Tudor Revival style” and one of less than ten high-style Tudor Revival houses in the state. 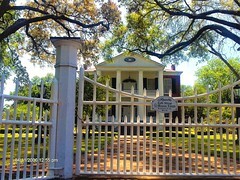 The Day House’s nomination form contains a short history of the park’s creation. C. C. Day is credited with the idea to create a swimming pool and park on N. Meridian Street. 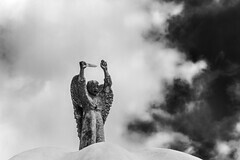 Day was an Aberdeen lumberman and a philanthropist during the first half of the 20th Century. Before the Great Depression, he amassed one of Aberdeen’s largest (if not the largest) fortunes and weathered the Depression with his fortune and position as one of Aberdeen’s largest employers intact. Day’s park plan was carried out by Judge James Milton Acker, City Engineer Ed Stinson and local contractor Addison Brannin. Although the park was Day’s idea, the park appears to have always been known as Acker Park. No architect is listed in the National Register nomination form or on the MDAH HRI, but considering that the architect for the Day House, one of Mississippi’s highest-quality Tudor Revival Houses is unknown, that is not surprising. The possibility that the park had no architect is also strong. 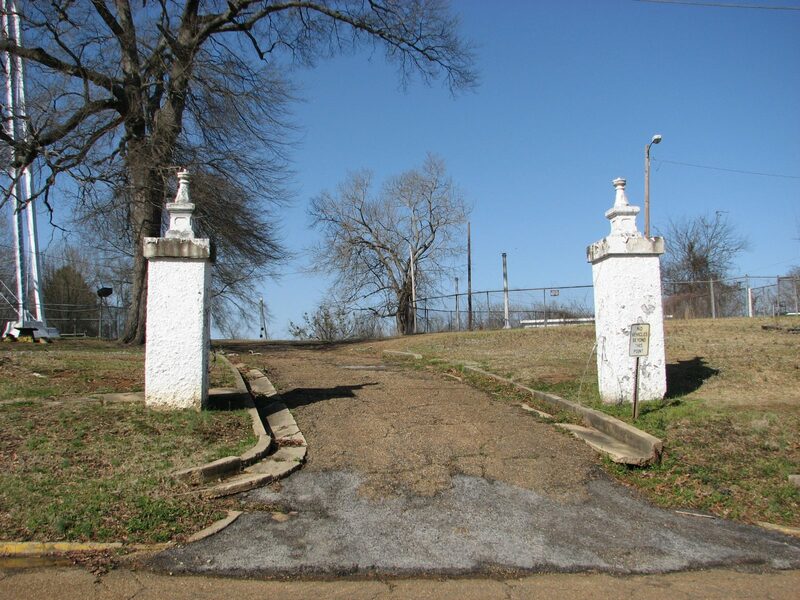 The National Register nomination form has only a few details about Acker Park and does not have its correct construction date. The park already existed by the nomination form’s cited early 1930s construction date; as in 1928, Aberdeen held a large ceremony at Acker Park celebrating the first passenger train on the new Frisco Line track from Amory to Pensacola. According to The Frisco Employes’ Magazine‘s August 1928 issue, several thousand Aberdeen residents “closed shop” for the train’s 3:00 PM arrival and subsequent ceremonies in Acker Park. The park’s Beaux Arts design also indicates a 1920s or earlier construction date. The centerpiece of Acker Park was its swimming pool, oriented roughly east-west, lining up with Fulton Street (and all other streets east of Meridian Street) and located near a steep drop-off on the park’s east side. Acker Park’s pool employed an interesting and progressive design, combining a large main pool with a semi-circular wading “kiddie” pool at the west end, separated by a concrete wall but one integrated pool in design. The long north and south sides of the pool had Beaux Arts pergolas of the type found far more often in City Beautiful parks and landscapes such as The Paseo in Kansas City than at municipal swimming pools in Mississippi. The east end of the pool appears to have had a large fountain, though the background of the Cooper Collection’s postcard is somewhat indistinct. The entire perimeter of the pool was surrounded by glass-globed lampposts of the type once common on Mississippi streets. Although I am not the foremost expert on Mississippi’s historic swimming facilities, I would claim, subject to any corrections, that Acker Park’s design was both the most spectacular Beaux Arts pool design and one of the best Beaux Arts/City Beautiful style parks in the state. By 2010 when I photographed it, Acker Park and its swimming pool were a far cry away from the heyday depicted in the Cooper Collection’s postcard and had lost a significant amount of historic integrity. The pergola on the pool’s north side had been demolished, as had the fountain on the east side and all the lampposts save two remaining ones around the “kiddie” pool. The north side of the pool had been populated by an array of concrete block buildings. 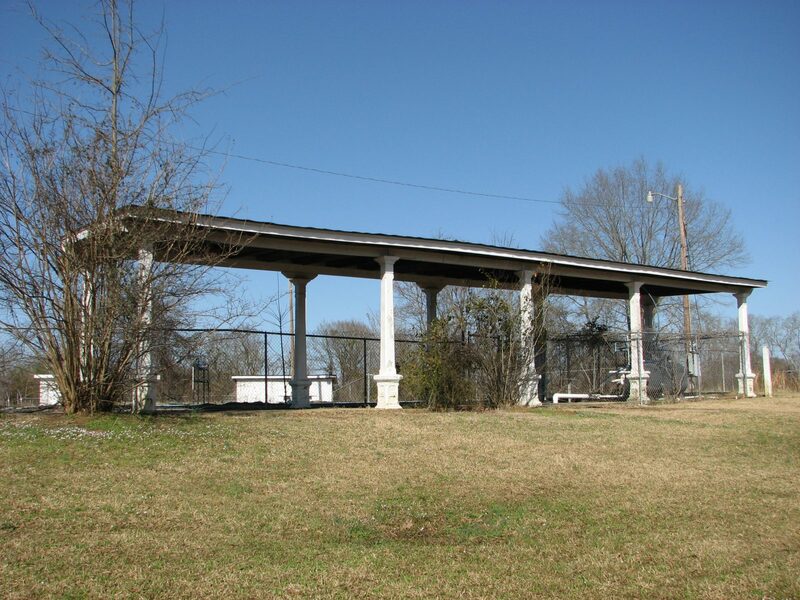 The remaining south side pergola’s roof had been enclosed, in a sense removing its status as a pergola and turning it into a pavilion. One end of it housed pool equipment, fenced off from the remainder of the pergola. The swimming pool’s design was also altered, replacing all the concrete steps into the pool with metal ladders and adding a wide walkway between the two areas of the pool, creating two pools where there had basically only been one. 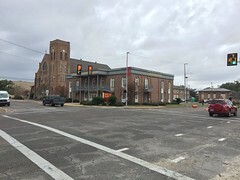 Previously, in 1999, the Carl Small Town Center at Mississippi State University highlighted Aberdeen’s two historic parks, Acker and Newberger, as Case Study #40 in their CREATE Common Ground project. 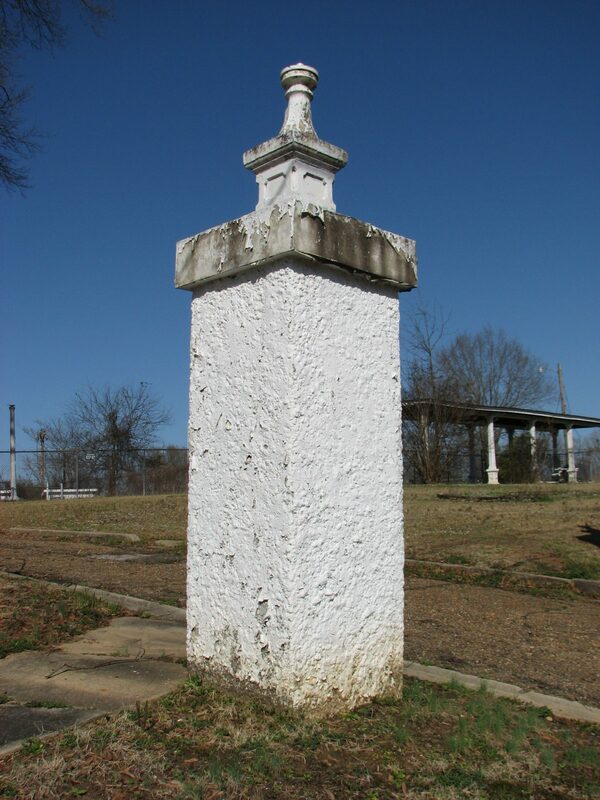 Both parks “suffered from declined use, vandalism, and some neglect.” The project advocated investing in maintenance and restoration to improve the surrounding neighborhoods, as well as possible inclusion for the parks as contributing resources if those surrounding neighborhoods were nominated to the National Register. 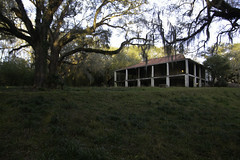 It would be fifteen years before Acker Park’s decline would be addressed in a meaningful way. 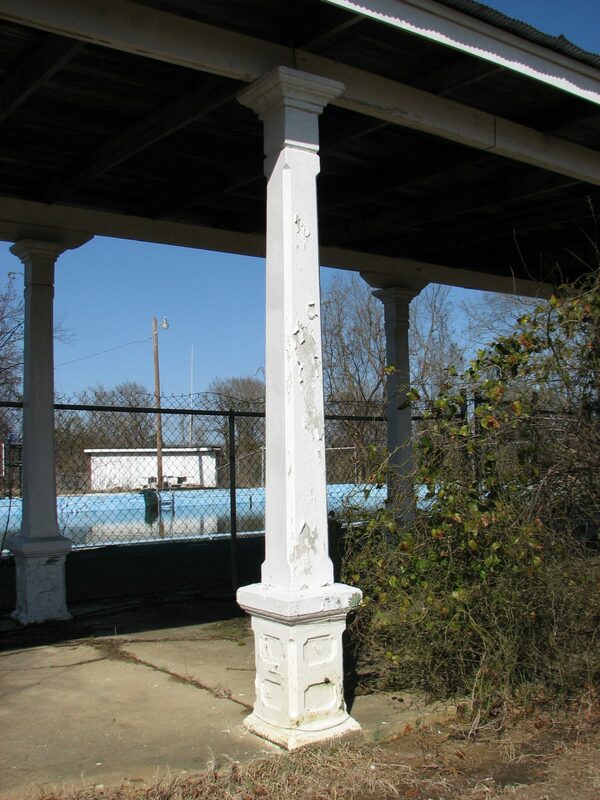 Although many of Mississippi’s historic swimming pools were filled in during the Civil Rights Movement by local whites who refused to integrate public facilities, Acker Park’s swimming pool escaped that fate. 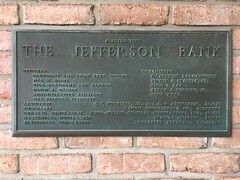 Instead, it was sadly filled between August 2014 and June 2015 as part of renovation work. The expense of repairing and reopening the pool was likely beyond the financial reach of the mostly volunteer renovation effort, which in the Summer of 2014, had begun work on the park. The August 13, 2014 Monroe Journal stated that volunteers led by Bobby Watkins, with some assistance from the city, had cut down several trees in and around the park, had removed all fencing and equipment from the pool, and were putting historic playground equipment in storage for future placement back in the park. The first phase of renovation work at Acker Park was celebrated in conjunction with Aberdeen’s 2015 Fourth of July parade, with the Monroe Journal reporting on the festivities. The remaining lampposts sported glass globes for the first time in decades. 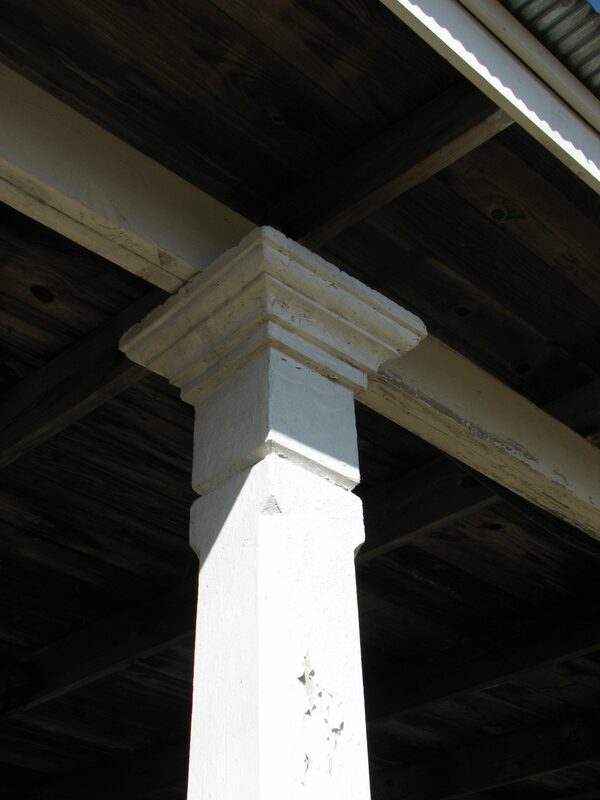 The pergola, though still with an enclosed roof, looked more like its original form with a fresh coat of white paint. Future renovation phases call for a walking track along the northern perimeter, a festival site, and a new splash pad. 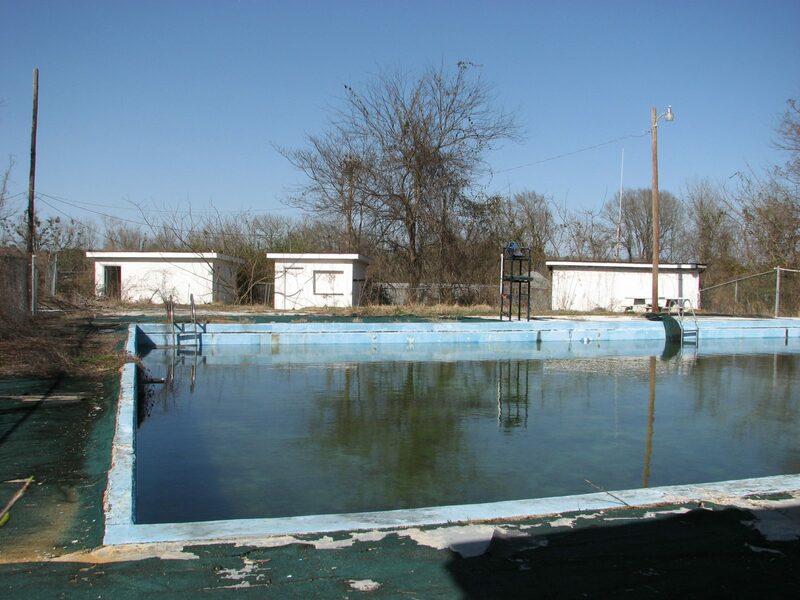 It is good that the park is receiving some attention from local citizens and city government, though filling in one of Mississippi’s oldest swimming pools is an unfortunate turn of events. Replacing it with a splash pad is just rubbing salt in the wound. However, as Stonewall, Mississippi demonstrated in 2007, filling in a historic and formerly beloved pool is not a permanent end. 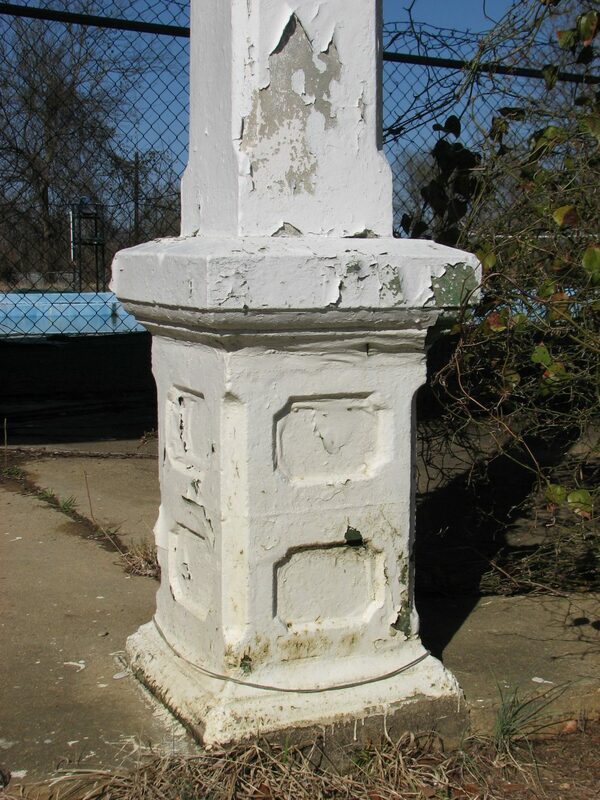 We may someday see a swimming pool surrounded by Beaux Arts lampposts and pergolas once again at Acker Park. “…looks like a transplanted spot of California with its flower bordered walks and graceful trellises equally entrancing by day or night” (03 June 1927, p. 12). Wow. This was an amazing pool. It’s hard to imagine a community building a Beaux-Arts facility as equally impressive today and not have it come across as cartoonish. So interesting to read all the background info I never knew!!! This swimming pool is where I first learned to swim. This is fascinating, William. Thanks so much!